NWL’s WA-Series DC voltage capacitors offer superior performance in a high capacitance welded case package. They are ideally suited for the most demanding applications requiring high RMS current ratings while maintaining air cooling heat management system. 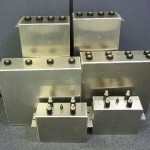 By utilizing stainless steel, aluminum, painted steel, and brass containers, this product has a robust package with mounting brackets for the capacitor, as well as additional brackets for components required around the capacitor, such as brackets for resistors, chill plates, current transformers, etc. A variety of terminals can be selected to create a high current low inductance option to accommodate various DC filtering systems. Terminal Options – By designing the capacitor with a variety of terminal layout, WA-Series can achieve maximum RMS ripple currents while maintaining air cooled heat management. 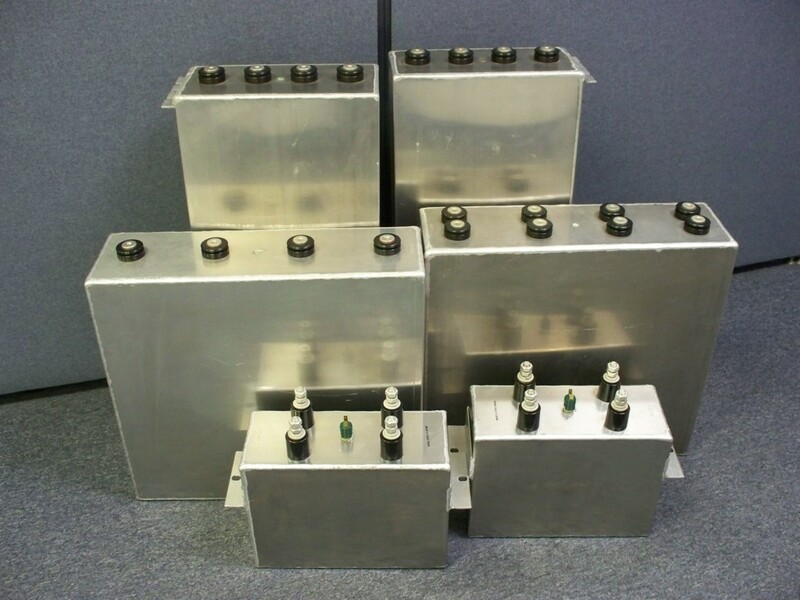 Large welded metal package – Utilizing well established and proven high K oil filling process, these welded steel cases of stainless steel, aluminum, brass and steel are able to package capacitors in excess of 500 lbs per unit.